Are you ready? Move the box to the teleport and enter the next level! Try not to make a mistake, cause the box can fall down! You can even shoot and make the way to the aim! Do you think it is so easy? Hmm! Just show us all your skills! We wish you good luck here! You will have to place the box to the right place. It is not so easy, as it seems to be at first. If you make the wrong move and box fall down from the board. 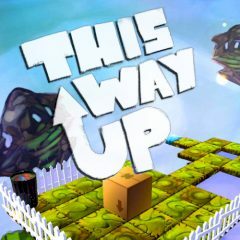 Do everything to get the box to teleport and move to the next cool level of this puzzle game! You have to think logically and be ready to rotate it in the right way. Shoot to the other objects and you will have a chance to move forward! Can you solve each level easily? Let us check it right now! Enjoy the game right now!